These questions and answers have been compiled from interviews at Fortune, Real Simple, Reddit, Salon, Yahoo, and others. Q. 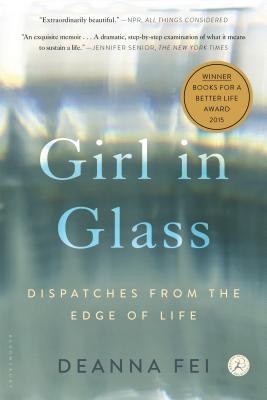 Can you talk about the events that led to you write GIRL IN GLASS? In October 2012, I was a novelist and the mother of a 13-month-old boy, struggling to finish my second novel before the arrival of my second baby, when I inexplicably woke up in labor—just 25 weeks into what had been a completely untroubled pregnancy. By the time I arrived at the hospital, the doctors had no choice but to deliver my daughter. She weighed 1 pound 9 ounces. She was attached to machines and encased in a glass box. She couldn’t cry or feed or breathe on her own—but when I reached into her incubator, she held onto my finger. My husband and I were told that she had a one-third chance of dying before we could ever bring her home and a one-third chance of surviving with serious disabilities. We clung to what we understood to be a one-third chance that our baby girl would somehow be okay—and then we learned that she had suffered a severe brain hemorrhage. Over the next three months, I learned to be the mother of a child I knew I could lose at any moment. A child who had to fight for every breath, a child whose future we could never take for granted. Then, one year after we brought her home from the hospital, just when I started to believe that she had truly defied the odds, the CEO of my husband’s company publicly blamed our daughter as a drag on the company’s bottom line and attached a price tag to her life. Until then, I had been so steeped in the shame and silence that so often surrounds a traumatic birth that I hadn’t been able to imagine ever telling my daughter's story. But as the headlines became a full-blown firestorm, I realized that I needed to speak out to defend her basic humanity. I needed to tell the raw truth about how she arrived in the world: the terror, the helplessness, the agonizing uncertainty—but also the awe and wonder of watching a baby struggle at the edge of life. Q. After you came forward to defend your family in the column in Slate, what made you decide to write GIRL IN GLASS? A. I never expected the story to go viral. I never expected to receive an outpouring of messages from strangers across the country who thanked me for giving voice to them, too. So many of them had also been steeped in shame over a premature birth or a special-needs child. Many of them had also suffered blame and scrutiny from employers and insurers just because they’d suffered a medical crisis. They opened my eyes to a frightening and complex set of issues that I’d only begun to explore. Truly, their support and solidarity saved me — and inspired me to write GIRL IN GLASS. The book explores some terrifying questions: How do you parent a baby you could lose at any moment? What does it mean to exist at the edge of life? But it’s also a celebration of love and resilience and the force of a child’s will to live. I’m generally a slow writer—finishing a draft of my first novel took me about five years—but I wrote this book in eight months. It was the toughest, rawest writing I’ve ever done, and also the most necessary. Writing this book allowed me to heal—and to give something back. It carried me from profound trauma and isolation to a place of awe and gratitude. And it gave me a whole new understanding of why we need to tell our stories: To know that we have a right to exist as we are, that we are fully human in our vulnerability. To know that we’re not alone, and to help others feel less alone. Q. What do you want people to know about the NICU experience? In many ways, the NICU (the neonatal intensive care unit) is a hidden universe. Until I began to research this book, I myself had no idea that prematurity affects one out of ten births in America. For all the progress that we’ve made in treating premature babies, prematurity is still the No. 1 cause of disability among children and the No. 1 cause of death among newborns. And it can happen to anyone. The stress levels for NICU parents are comparable to those of soldiers in combat, and so are the rates of PTSD. But we, as a society, don’t know how to acknowledge and honor these experiences. Even on the level of language and narrative: the word “preemie,” for instance, doesn’t begin to capture the terrifying limbo that families confront in the NICU. It’s a suspension between birth and death, hope and fear, nature and science. It’s an experience that often seems unspeakable. So NICU families often suffer alone. We often fail to support them through the most traumatic—and transformative—journeys of their lives. It can be unsettling to contemplate this area of life, because it forces us to face this knife-edge between birth and death that we all would rather not see. But it’s also a fascinating and necessary reality to explore. The care of premature infants has always been a measure of our humanity. It’s the question of how we care for the most vulnerable members of our society. Q. What do you think is important to understand about the AOL controversy? At the time, what upset me the most was the callous nature of the violation. The fact that this powerful CEO had exposed the most traumatic experience in the life of my family in order to scapegoat us for his decision to cut employee benefits. Once I was able to take a closer look at the facts, what I found most disturbing was that when he labeled my daughter with this “million-dollar” price tag, it wasn’t only cruel, it was completely dishonest. As much blowback as Tim Armstrong got for his comments, I think he also got a pass in many quarters. We’re such a data obsessed society. By listing these statistics, he can take on this sheen of the truth-telling corporate leader, wielding these spreadsheets in the interest of fiscal responsibility. But I dug into these numbers and they don’t add up. And while a lot of people said, “It was a gaffe, he shouldn’t have said it,” there was also a tendency to accept the underlying notion behind his comments—that there are limited resources and that my daughter consumed an outsized share. There’s a lot wrong with that. AOL had just posted its best earnings in years. There was no reason to cut benefits, let alone blame a newborn baby. We’ve come to a place in society where we just accept that this is how it goes for workers, but that CEO bonuses are completely untouchable. It’s not about me versus Tim Armstrong. What I find frightening about this is that he’s representative of a lot of CEOs and the kind of accounting that they do. Q. The words “failure,” “guilt,” and “shame” come up many times in your book. Why does childbirth engender such emotions that another catastrophe, like suffering a car crash, might not? Why do feelings of shame keep so many people from speaking out against corporate injustice? And how did you move forward from that shame? A. 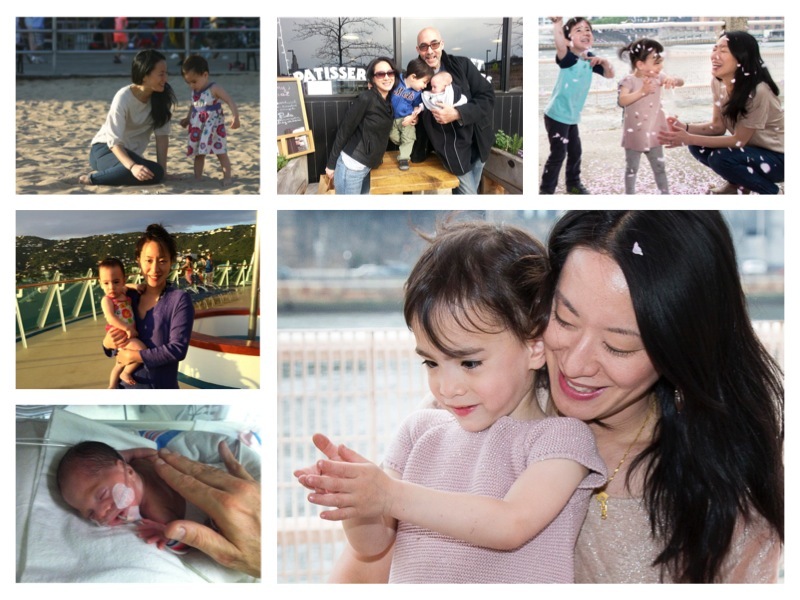 The specific nature of my daughter’s birth—catastrophically premature, with no warning signs or medical explanation—left me with a visceral sense of having failed to hold onto to my own child. This came from my individual psyche, of course, but it also reflects something very insidious in how we view risk and responsibility in the areas of pregnancy and motherhood. Our culture tends to preach that women can do everything right and then have a perfect baby. What To Expect When You’re Expecting has become our modern-day bible. We have so much information at our fingertips that it can give us the illusion of having more control than we really do. That easily becomes a culture of blame when something goes wrong. I think a lot of women heap blame on themselves over experiences that shatter that myth of perfect pregnancy and childbirth—a premature birth, a special-needs baby, even something as everyday as an emergency c-section—but I also think there’s a tremendous social stigma. In terms of the socioeconomic context, ours is a country where we still treat health care as a privilege rather than a basic human right, where corporations tend to apply a zero-sum mentality to worker benefits, where we blame the insanely high costs of care on the sick instead of the health care industry. It’s now two years after the AOL controversy, and I still hear from people who were shamed at company meetings for having a baby in the NICU, people who were suddenly fired when a family member needed expensive medical treatment. It’s no wonder most of them are afraid to speak out. But until we do, this will continue to be business as usual. Q. How has this ordeal changed the way you think and act about privacy? A. I was always the kind of person who shrugged about Facebook privacy settings, customized Gmail ads, even those disclosure forms at doctor’s offices. But then the most profound trauma in the life of my family was exposed by my husband’s CEO for the purpose of justifying corporate cost-cutting, and I began to see how vulnerable we all are to having our most personal information used against us by institutions that hold power over us. This is especially dangerous in the area of medical privacy. I never envisioned myself as a privacy advocate, but I definitely feel a sense of responsibility to help people understand why medical privacy matters to all of us—parents, employees, anyone who might suffer a medical crisis. I founded a website, http://ourdistressedbabies.org, where I post stories that people have shared with me about being mistreated for needing medical care. And I work with a nonprofit, Patient Privacy Rights, that works to restore our right to control the access and use of our own medical records. Medical privacy is an issue that can seem pretty abstract. But where it really hit home for me was in realizing how violations of medical privacy can expose the most profound traumas of people’s lives—and make them vulnerable to getting blamed, shamed, even fired for their medical bills. That’s why medical privacy is an issue of basic civil rights. The way things stand now, ordinary people can’t protect themselves from being discriminated against for their medical conditions. As we entrust more and more of our medical records to Big Data, the laws that are supposed to protect us are increasingly weak and outdated. We need to push for strong federal privacy laws that guard our personal health information in the digital age. Q. Having lived through the possibility of literally the worst thing in the world happening to you, do you feel you worry more about your children and family? Do you work on staying in the moment or do you find that having been through a terrifying crisis makes it easier to do so? A. Once you’ve had a child on life support, the experience never really leaves you. At any given moment, an ordinary anxiety about my daughter can take a terrifying turn. With my son, I used to worry about every milestone just because that somehow seemed to be my job as a mother. With my daughter, I never knew if she would smile or walk or sing until she did, and that carries a special burden of worry and fear. But I also carry with me some hard-won perspective. As parents, we want to protect our kids from all the suffering in the world, but sometimes we can’t. Life is inherently fragile and uncertain, and that’s part of the beauty of it all. The greatest challenge for all of us is to live in each moment. To make peace with the past and accept that the future holds no guarantees. To allow ourselves to be awed by a child’s resilience. Every time I see my daughter laugh in the swing with the wind ruffling her hair, I know what it means to feel blessed. Q, Initially, you blamed yourself for the premature birth, despite the fact that you could not have prevented it. What did it take for you to forgive yourself? The outpouring of messages I received from strangers around the world after I spoke out about the “distressed babies” controversy. Parents of babies born at 32 weeks, 28 weeks, 24 weeks. Parents of babies who were born full-term but needed intensive care from birth. People who were former preemies. All of them expressed empathy and solidarity in the shame and blame I’d felt—and they also affirmed the worth of their own lives, their children’s lives, and my daughter’s life. That’s what it took for me to finally realize: These things happen, and pregnancy and motherhood are inherently risky processes, which is also what makes them so miraculous. It wasn’t until I felt the support and solidarity from parents all over that I was finally able to forgive myself. Q. How has the response been to the publication of GIRL IN GLASS? Have you been caught by surprise by others’ desires to involve (or not involve) you in issues that your book considers? I’m extremely grateful for all the attention that my book has received. I’ve been profoundly moved by how many journalists have approached my daughter’s story with compassion and sensitivity and a keen eye for the issues that her story has helped bring to light. She became a touchstone for a host of important societal concerns—medical privacy, corporate accounting, healthcare access, workplace reform, the true tolls of prematurity—and I think it’s vital to continue those tough but necessary conversations. We need to be conscious of the humanity behind the headlines and how larger policies can affect ordinary families. It’s also been extremely empowering for me to connect with advocates who have dedicated themselves to helping families like mine: March of Dimes, Graham’s Foundation, Patient Privacy Rights. It’s tremendously affirming for me to be able to use my daughter’s story to show why these issues matter to all of us. But, to be honest, the thing that makes me feel like every part of this journey has been completely worthwhile is simply hearing from other parents who tell me that my book helps them feel less alone. Q: What are your thoughts about the edge of viability, especially as it appears more preterm infants as early as 22 weeks gestation are being resuscitated? How much do we really know about the road ahead? How often are we just prolonging a baby's suffering instead of just letting them go? A: You’ve hit the core of some of the toughest questions facing us as a society: how do we care for the most vulnerable members of our society? How do we define lives worth saving, and at what cost? Of course cost isn't simply financial; it also speaks to the patient's pain and suffering and the possibility that treatment will be futile—and thus inhumane. This has always been the central dilemma of neonatal care. Now that we have the technology and the resources at hand, we don't have the option to not choose. But what I learned in writing and researching GIRL IN GLASS is that the most common misconceptions of NICUs is that the fates of the babies are completely in the hands of the doctors and their machines. The truth is, all we can do is give these babies a chance. Even with the best care, the sickest babies simply can't be saved. Most doctors, nurses, and parents are all extremely aware of this possibility—and, in the huge majority of cases, they're able to reach a consensus when it's time to let a baby go. The babies who respond well to treatment still face an extremely uncertain journey--but they "declare themselves." When I first heard of this concept, I was skeptical: How can a baby who can't breathe on her own truly have a will to live? But, as one of the doctors I write about in GIRL IN GLASS put it to me, "We think of will as mental. But if you think of it as physical, it might not be such a weird concept. It can be in every cell of the body." That's certainly what I saw in my daughter from the first moment that I reached into her incubator and she held my hand. The reality is that we can’t know the road ahead. But we do know that these days, most premature infants go on to lead lives that are as full and rich as those of anyone else. Ultimately, the calculus is this: When the stakes are life-or-death, we err on the side of life. Q. How will this entire experience shape your future writing? In writing, you have to give it everything you’ve got. You can’t hold back or let yourself be guided by fear. And you can't know how it's going to turn out in the end. Until my daughter was born, I don’t think I knew just how dark life could get, and how wide the unknown really is. But there’s also a particular transcendence about the kind of love I learned from my kids. It's an elemental force, and it has to be its own reward. My son, who was 13 months old when my daughter arrived, taught me that, even through the darkest times, you have to find moments to laugh and sing and dance. My daughter taught me how to face my worst fears. She had no choice but to fight for every breath. She had no idea the odds that were against her, the uncertainties about her future, the fact that, for a lot of the earliest part of her life — and it’s painful to admit — I was afraid to become attached to her because I knew that I could lose her at any moment. She really showed me how to live in each moment knowing that you might not get the next one. To this day, when my daughter says things like, “Mama, I see the moon!”, that stills my heart. In writing, you have to go to the darkest places in order to find those moments of transcendence. Q. How are the kids now? They’re amazing. They’re my daily lesson in gratitude, and wonder, and learning to live in the moment. Leo has grown into my little man, while Mila is now a total “threenager.” She is probably the sassiest and most fearless creature I’ve ever met. And honestly, as challenging as she can be these days, there’s always a part of me that feels like, well, she earned it. I get caught up in my parental anxieties like anyone else—time, space, money, one pair of hands… Are they eating enough vegetables? Is bedtime too late? But my daughter has taught me, on a very visceral level, that you can’t take any day for granted. When she was born, we didn’t know if we would ever have a next month, a next week, a next day with her—and she showed me that if we’re together, and she’s holding my hand, and everyone is safe, that’s enough.